Forget the nursery rhyme and buck up baby, because we are going "mudding!" If you haven't drudged around in the muck and taken a mighty wack at a ball only to end up with a face full of mud, well than you haven't really played golf. 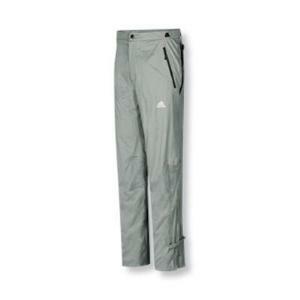 You are going to need a pair of these Adidas Men's ClimaProof Storm Golf Pants. These are heavy duty pants. They are 100% polyester and 2.5 micro-fiber. The pants are packed full of hidden stretch tabs: in the waist, in the rear, and in the back knees. Adidas and Nike are my favorite golf apparel brands. I especially like Adidas' weather protective clothes. So come on let's go golfing! Rain rain, come and stay. Hang around all darn day. We "mudders" want to play.